Following up their surprising Road Salt One, Swedish proggers Pain Of Salvation are on something of a roll at the moment. Currently touring with Opeth, the band have impressed me both on disc and live, and even before I heard Road Salt Two I was expecting good things. Indeed, I was right. This is in many ways a continuation of the first Road Salt, with less of the lustful boasting that put me off and more of the wistful musing that enticed me. Nothing here is as daft as the earlier album’s Sleeping Under The Stars – it’s uniformly serious stuff, all showing the band’s songwriting skills off brilliantly. After Road Salt Theme, an intro of near orchestral beauty, the hammering catchiness of Softly She Cries and the southern-tinged rocking of Conditioned stroll in, providing the lure to draw you in before the acoustic strum of Healing Now and the almost Morricone-styled atmospherics of To The Shoreline take your breath away. Wherever you turn, Pain Of Salvation do their job competently and smoothly, the emotional rock of Eleven with a touch of proggy experimentation in the instrumental meander an especially subtle example of something that seems stock but soon proves its high quality. First listens reveal a good album, subsequent attention proves it to be an excellent one, the emotional impact of the reflective 1979 and the complexity of The Deeper Cut having more of an impact than they at first appear. The slow, carefully grooving Mortar Grind relies as much on Gildenlow’s vocal skills as on the impressively skilled instrumentation to create its atmosphere. Eight minute The Physics Of Gridlock, meanwhile, is a real prog-out, including everything from breathy French chanson to mechanical Tool-y chugging, following outro End Credits bringing proceedings to a beautiful close with orchestral aplomb. As with Road Salt One, I find myself rather torn when it comes to summing up the album. Here, even more so; Road Salt Two is an improvement on the first album, offering a more solid, enjoyable set of songs to my mind. 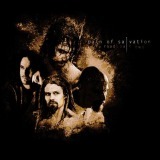 Yet I still think it’s an excellent album with some amazing songs rather than an amazing album – yet Pain Of Salvation are so close to that standard now that it feels churlish to criticise at all. Those who loved ...One will love Road Salt Two even more.